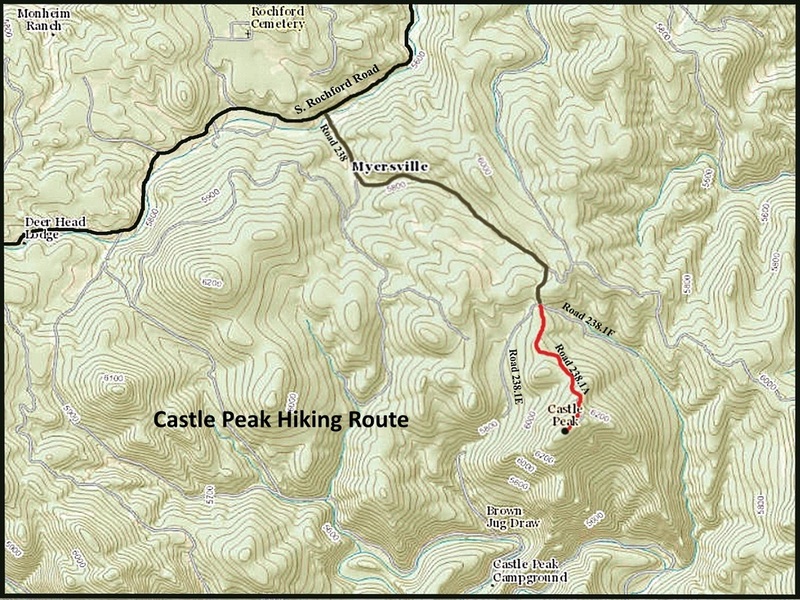 If you are in the Deerfield area and looking for an out-of-the way and interesting hike, Castle Peak might be of interest to you. 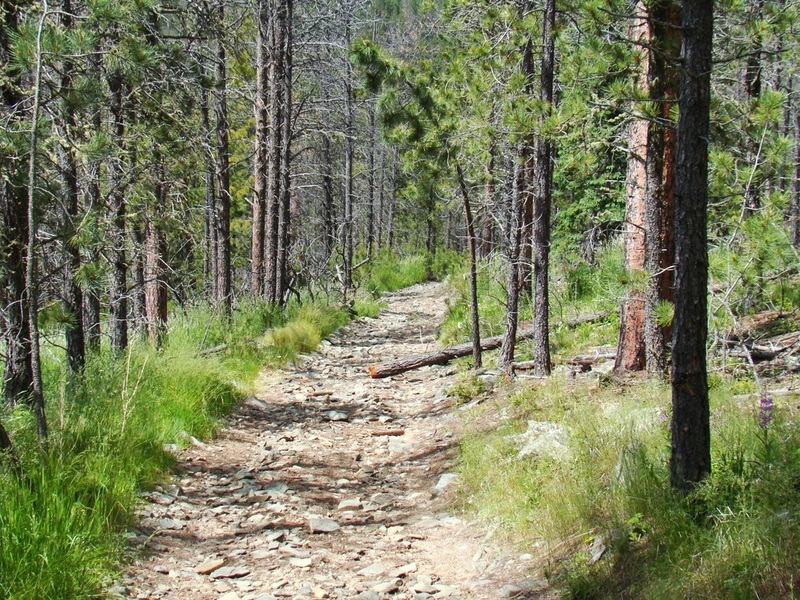 This hike is relatively short at just about 1 mile. 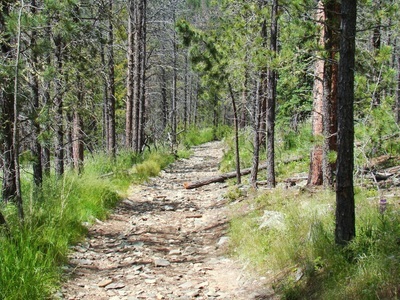 But the steepness of the trail along with the rough footing would make this an intermediate hike. 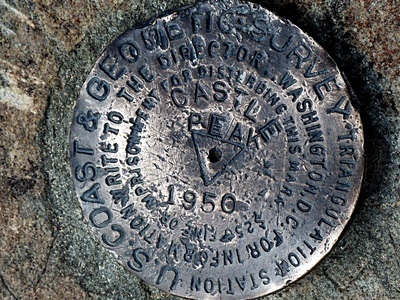 Castle Peak is the site of an old Black Hills fire tower, so you can be sure there will be some good views at the summit. 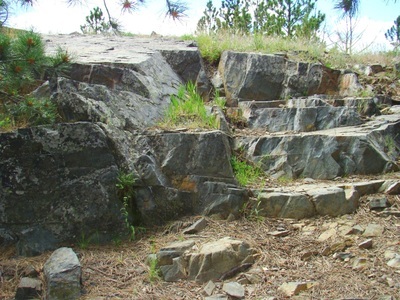 However, the growth of the forest at the summit has limited those views a little since bygone days. 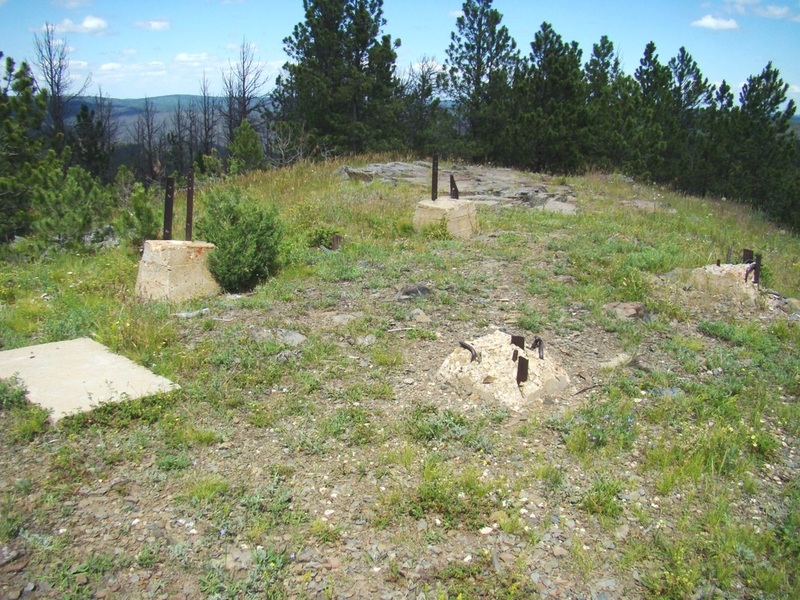 Some of the old fire tower foundations are still left at the summit, along with some radio towers and the summit geodetic marker. From the summit, visitors can see Black Elk Peak, Hat Mountain, Sylvan Peak, White Tail Peak, Crooks Tower, Flag Mountain, Terry Peak and Custer Peak. Of course, having a good pair of binoculars will help greatly with this. 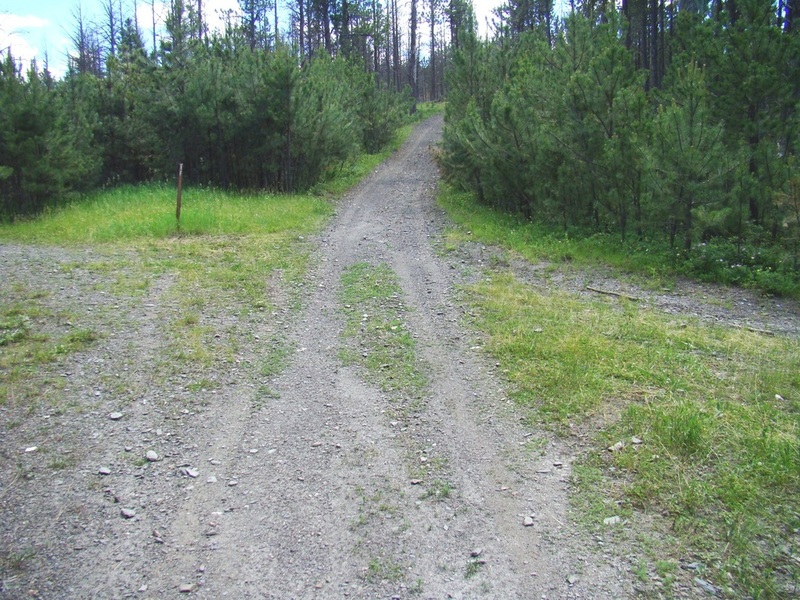 The old road to the summit is very rocky with the trees growing close enough to the trail that anyone with a 4-wheel drive vehicle and who values their mirrors would not try it. 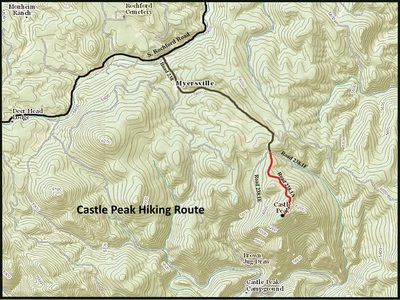 ATV’s have no problem with this road, and are sometimes seen on Castle Peak. Road 238, about 2.6 miles south of the unincorporated village of Rochford, and which intersects with South Rochford Road, is the reference point for most trips to Castle Peak. 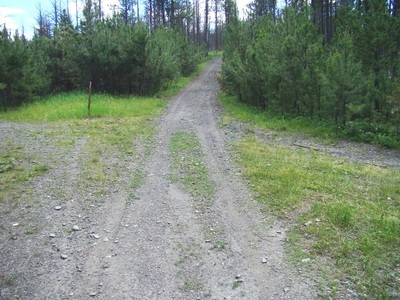 You can get to Rochford by paved road, on the North Rochford Road from Highway 85. From Deadwood, it is about 23 miles. If you are traveling from Newcastle, Wyoming, it is about 63 miles to Road 238. As you travel up Road 238, please be aware you are in an area called “Myersville”. It shows up on some maps. The residents there make it very apparent they want no trespassing, and they have posted their own 5 MPH speed limit signs at the start of Road 238. To reach the main route to the summit of Castle Peak, drive up Road 238 for about 1.4 miles. Avoid driving down intersecting roads, which would include 238.1N and 238.1B. You should come to a 3-way junction, with 238.1E as the right road, 238.1F as the left road, and 238.1A as the center road. The center road is your route. The trail route map in the photos below may be of help to you. This is the final road junction. The center road goes to the summit. 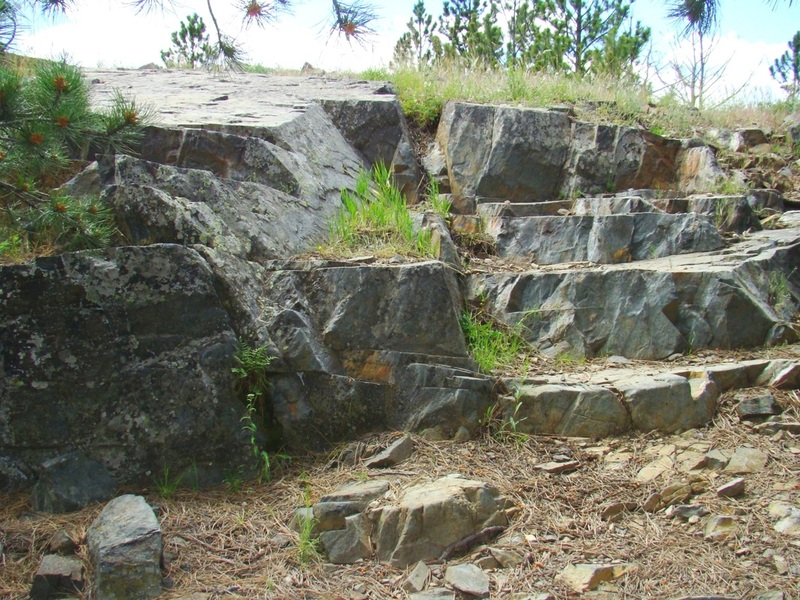 The road to the summit is rough, but well-defined. This is all that remains of the old Castle Peak Fire Tower.